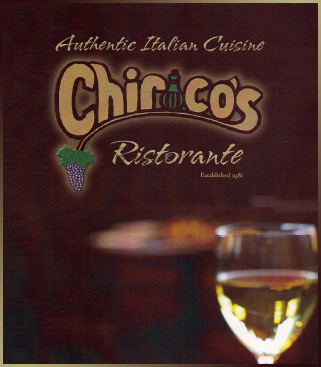 From pick up trays to full service catering, Chirico’s can make your event a true pleasure and a memorable one. Our full service catering is available long distances depending on the size of your event. Special distance arrangements can be made for parties over 300. Delivery fee, clean-up fee applies to full service catering. Most menu items can be catered, contact us, or call us today for more info and to schedule your gathering.